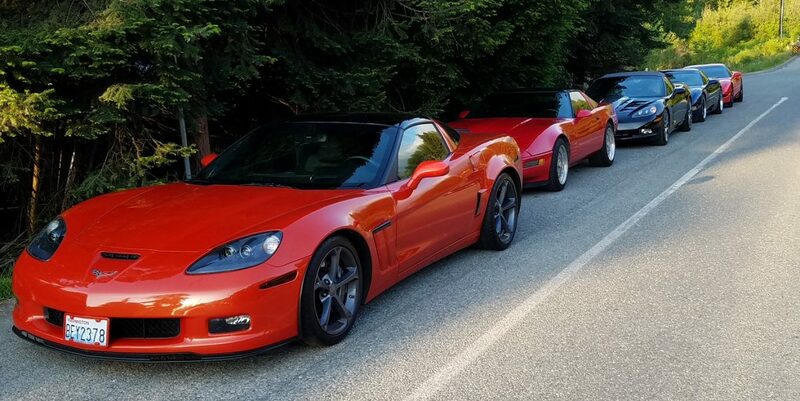 We are a Corvette club based in Bellingham, Washington. Our members participate in a number of car activities, including Show-n-Shines, Autocross, parades, dinner cruises, poker runs, and charity events. Check our Events tab or Facebook page for details. Monthly meeting information is in our About tab. We hope you will join us! Stay tuned for 2019 CU Show (Aug. 17) information! Monthly Meeting May 2, 2019 at 6:00 pm – 8:00 pm Mi Mexico Restaurant, 241 Telegraph Rd, Bellingham, WA 98226, USA Located to right when you enter the restaurant. Arrive at 6:00pm for eating and socializing. Meeting begins at 7:00pm. Dinner Cruise May 16, 2019 at 6:00 pm – 9:00 pm Starbucks on Old Fairhaven Pkwy (at I-5) at 6:00 pm sharp.